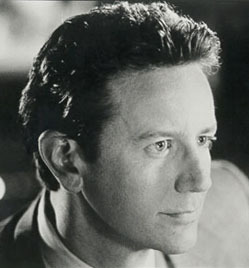 AKA Edward Ernest Reinhold, Jr.
 Peyton D. Woodson, "Religion Plays Big Role In Actor's Life Now: Judge Reinhold Embraces His Faith After an Undeniable Encounter with God", Fort Worth Star-Telegram, 28 April 2001: "Reinhold has occasionally lectured in churches since his conversion. He said Christianity has changed the way he orders his entire life -- even his acting career." Woodson quotes Reinhold directly, "I had an undeniable encounter with God. I couldn't believe it. It was like a spigot of water just poured onto my heart... just pure love."